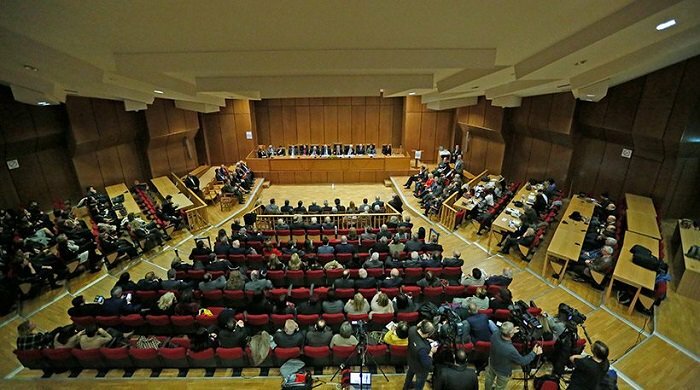 Senior members of the Greek judiciary have strongly criticized the government for undermining rule of law. It identifies two ministers in particular: The deputy minister of Justice, Dimitris Papangelopoulos, and the deputy minister of Health, Pavlos Polakis. Papangelopoulos accused judges of implicitly covering up scandals over defense contracts. Papangelopoulos said in Parliament this week that judges and prosecutors were part of covering up a “deluge” of kickbacks from state defense contracts under previous administrations, especially under the former PASOK Socialists. The statement by the Association adds that the attack has reached such a level where even the decisions of the three highest courts in the land are disputed. “Characterizing Justice as an ‘institutional barrier’ is a very dangerous logic that ultimately undermines decisively the rule of law. The damage done to the country and to democracy from such statements is immeasurable,” the statement reads.